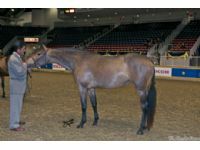 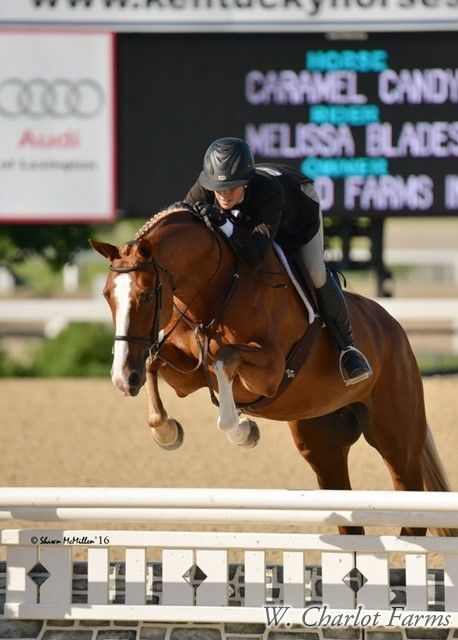 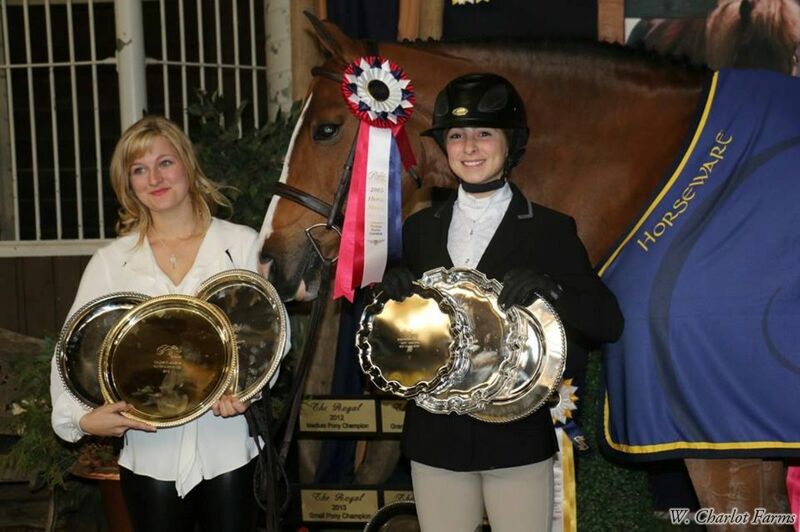 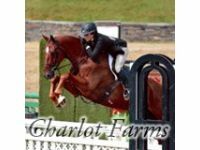 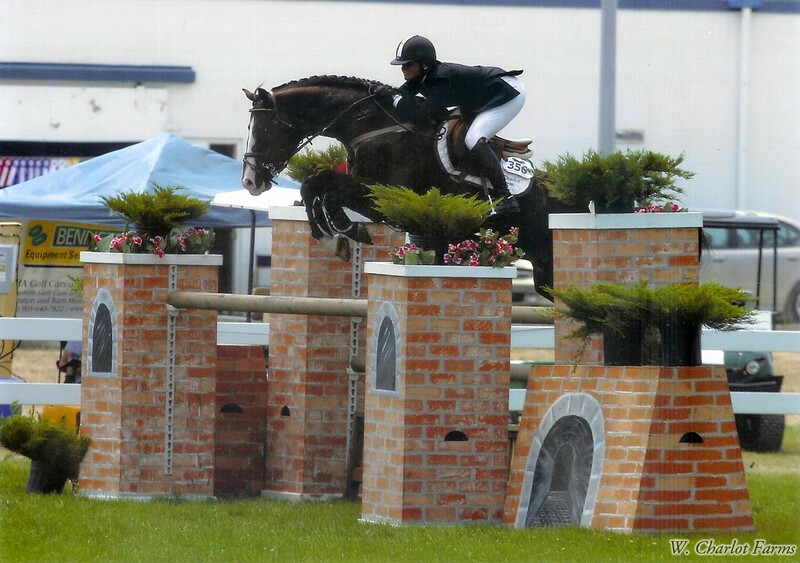 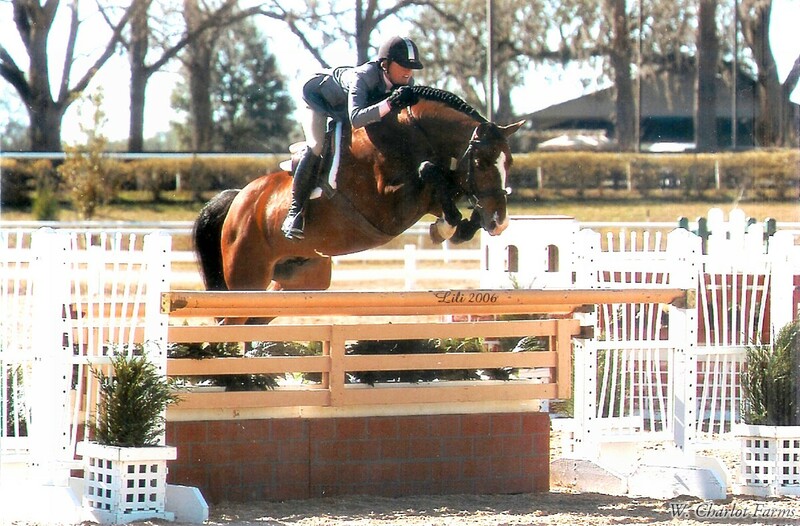 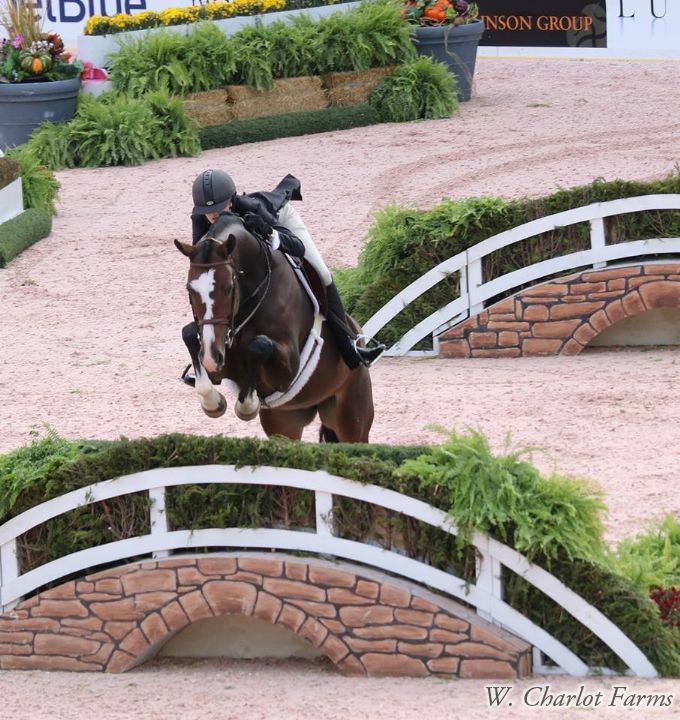 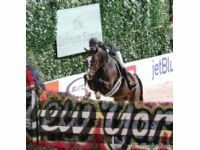 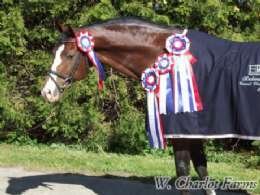 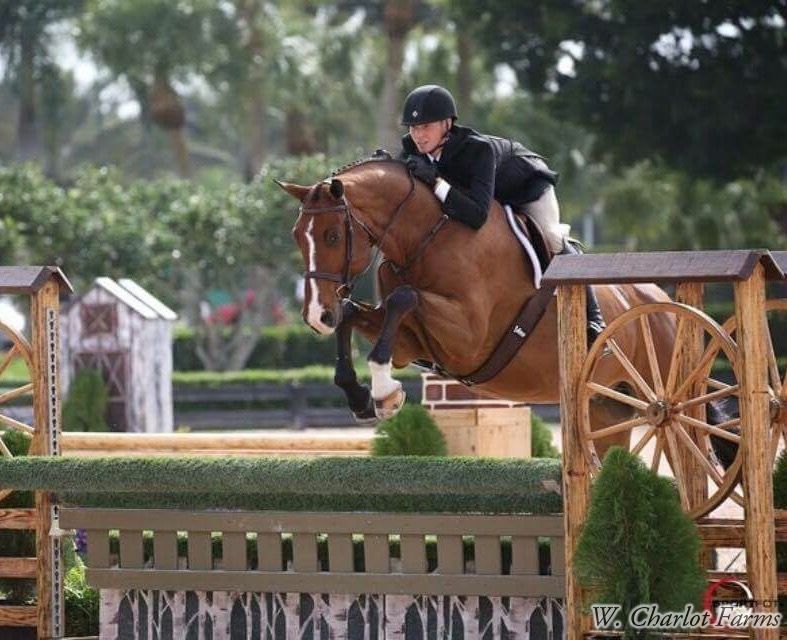 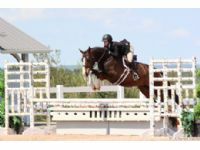 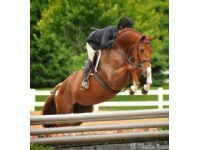 News Update - Dec. 2018: Cabardino is USEF #1 Hunter Sire for 2017 and 2018 ! 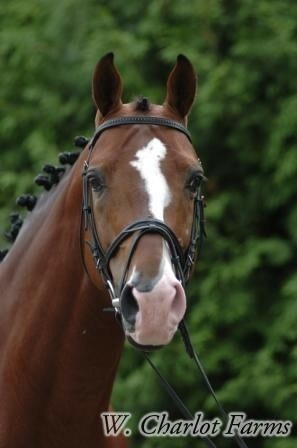 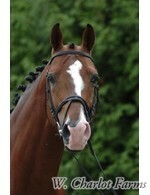 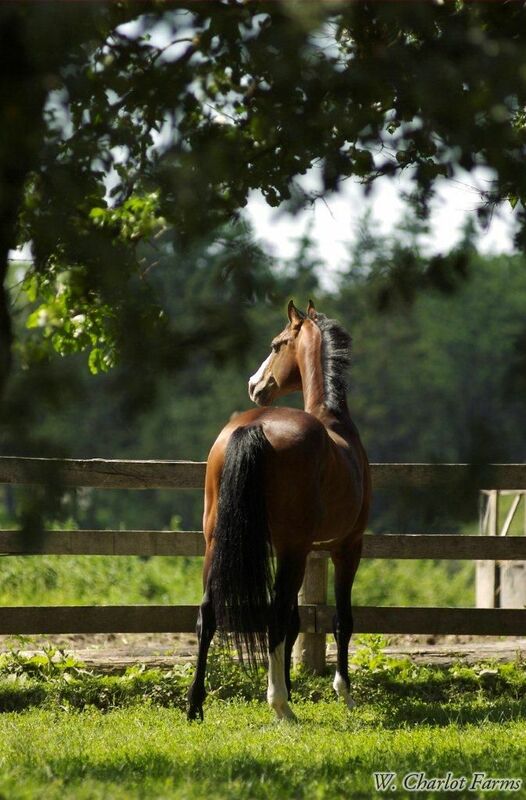 Cabardino is now also approved by Hanoverian Verband and AHS !
" 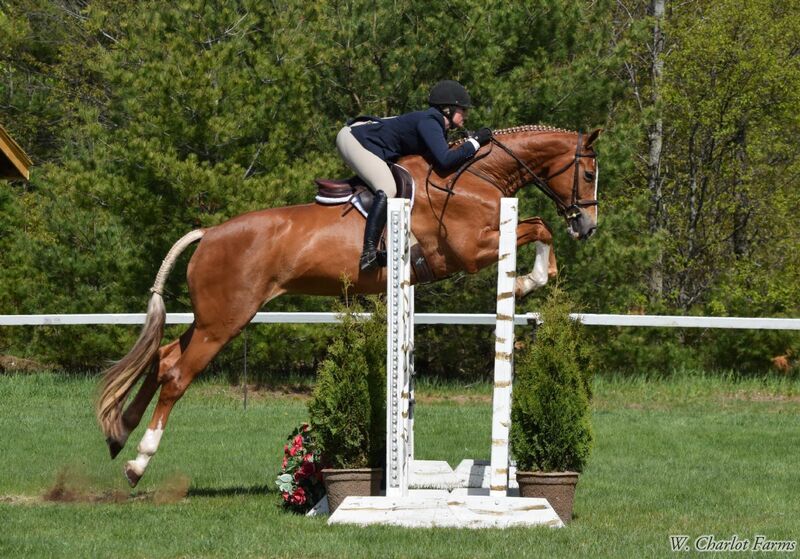 A Spectacular 4 ' Hunter and sire of national champions "
Cabardino is a spectacular 4' hunter who combines scope, technique, temperament, beauty and movement in one complete package. 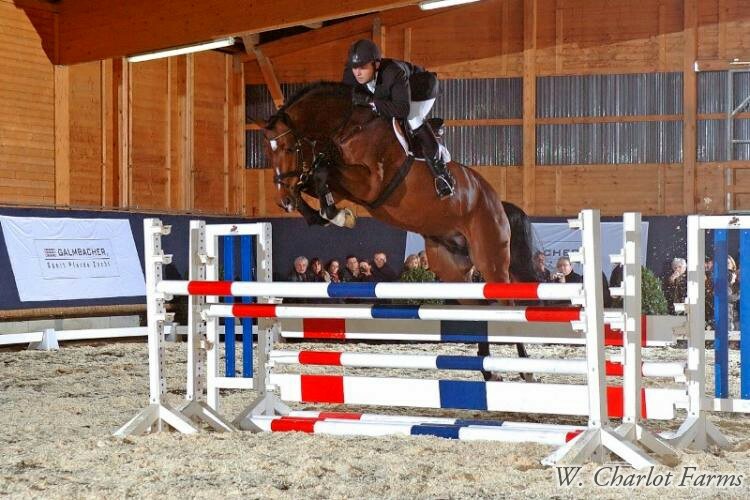 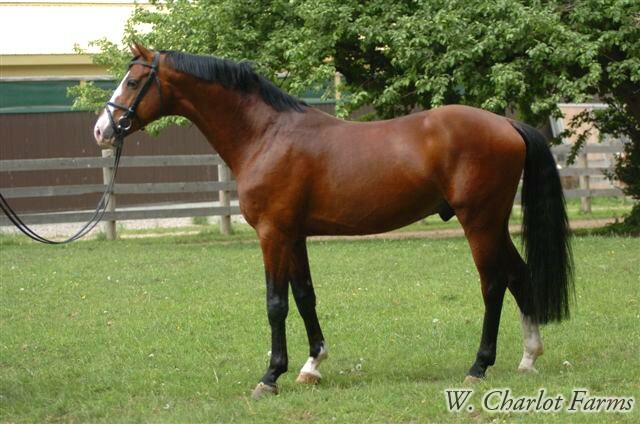 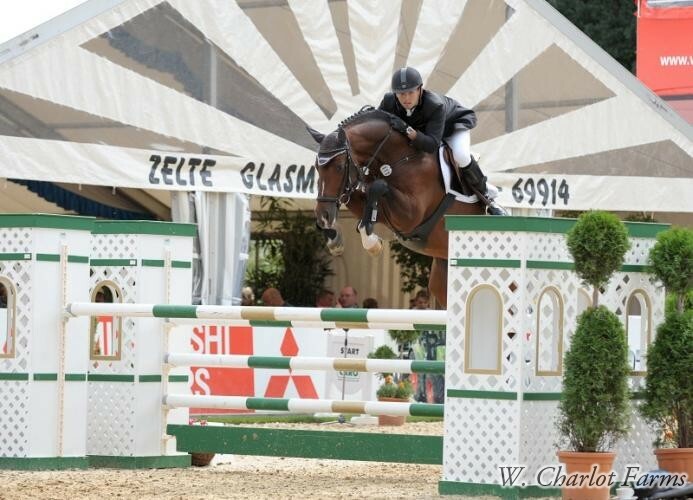 Cabardino sired an approved stallion during his first year of breeding in Germany. 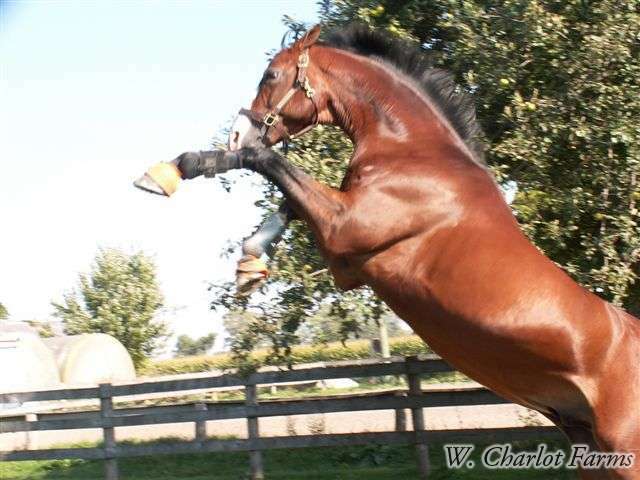 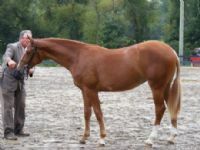 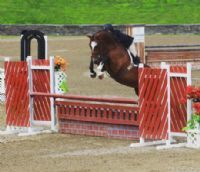 He is known to produce beautiful, very flashy and refined foals with excellent movement and incredible technique over jumps. 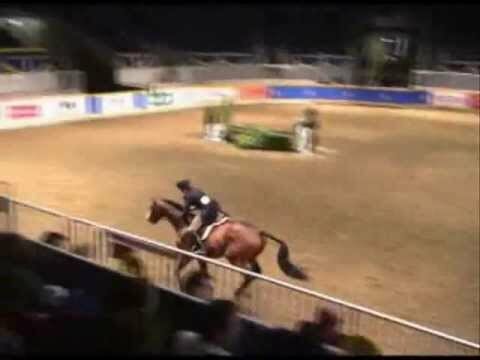 Cabardino's temperament is second to none and his scope and technique over jumps is simply extraordinary. 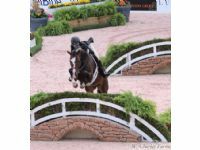 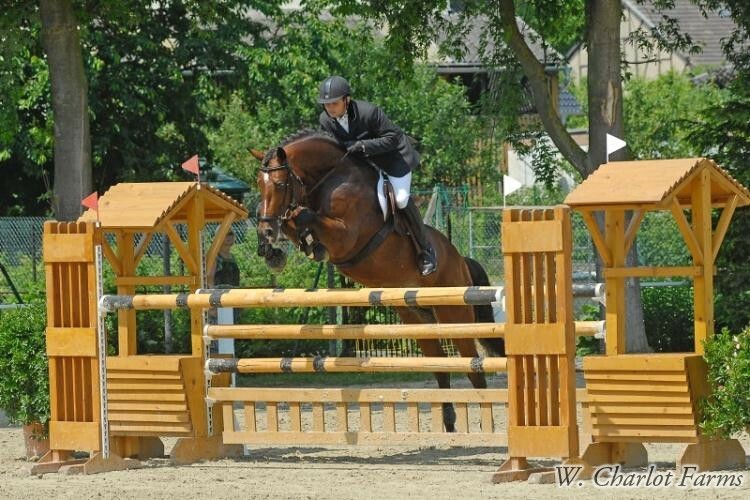 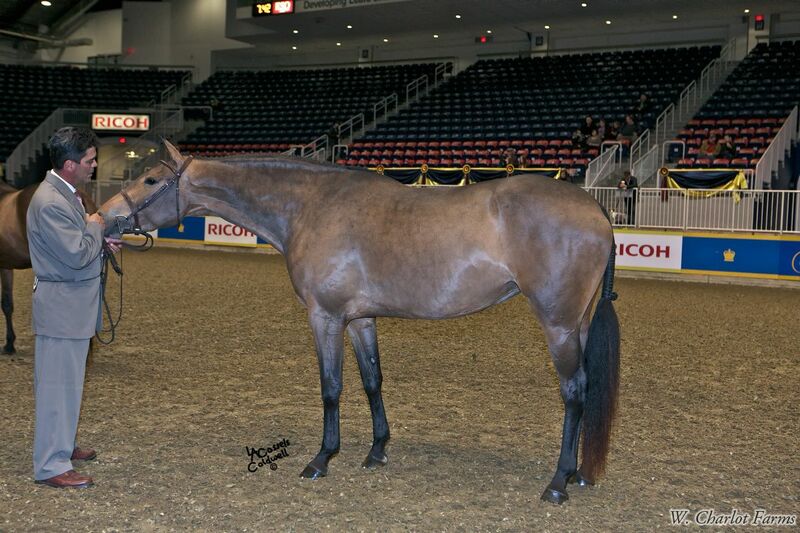 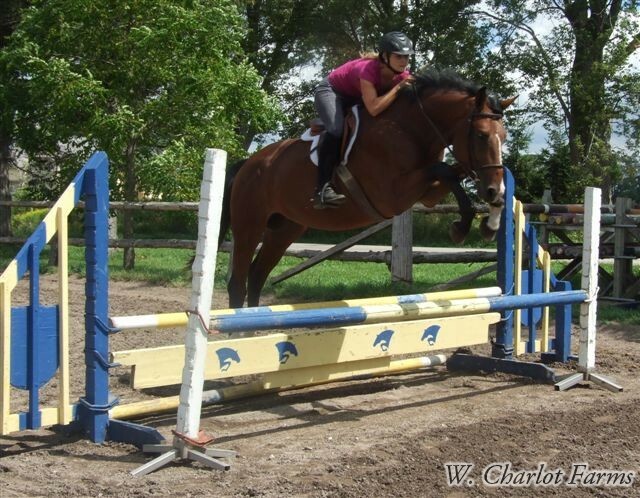 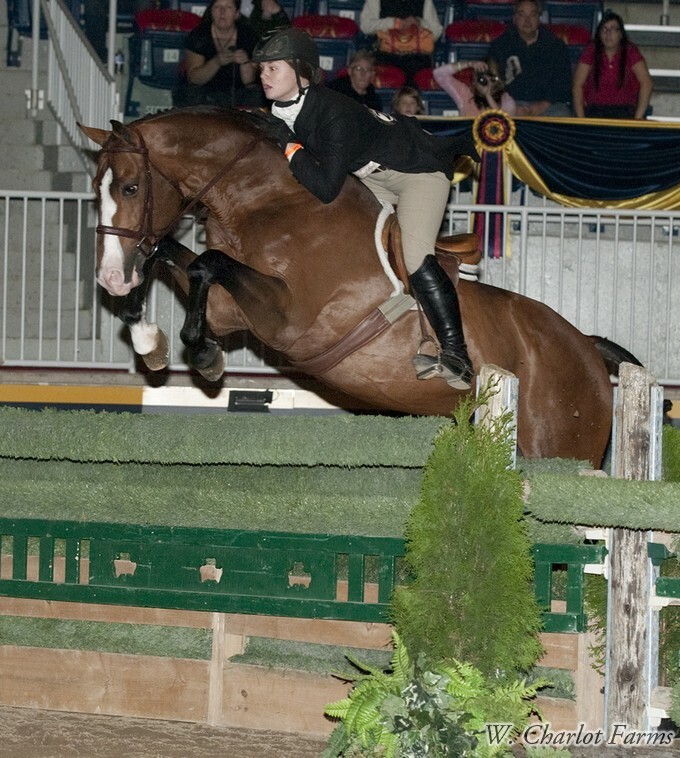 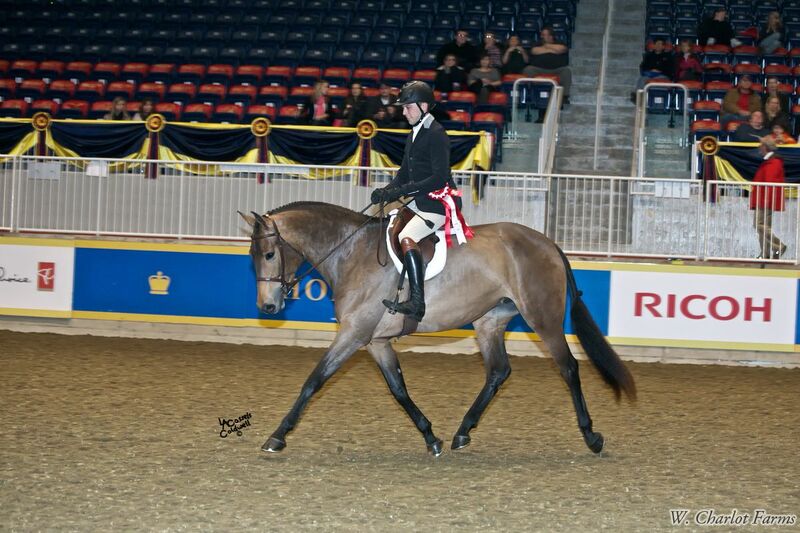 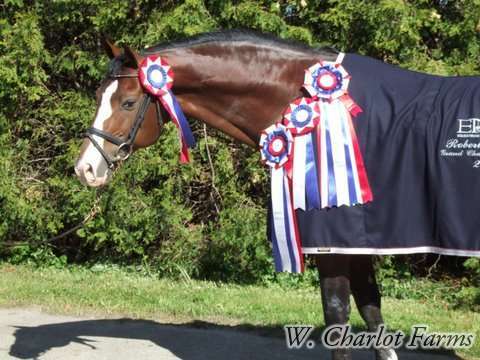 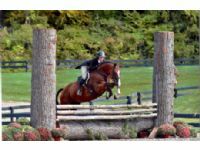 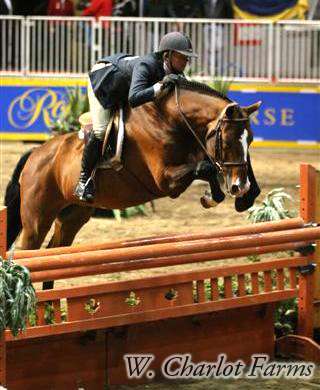 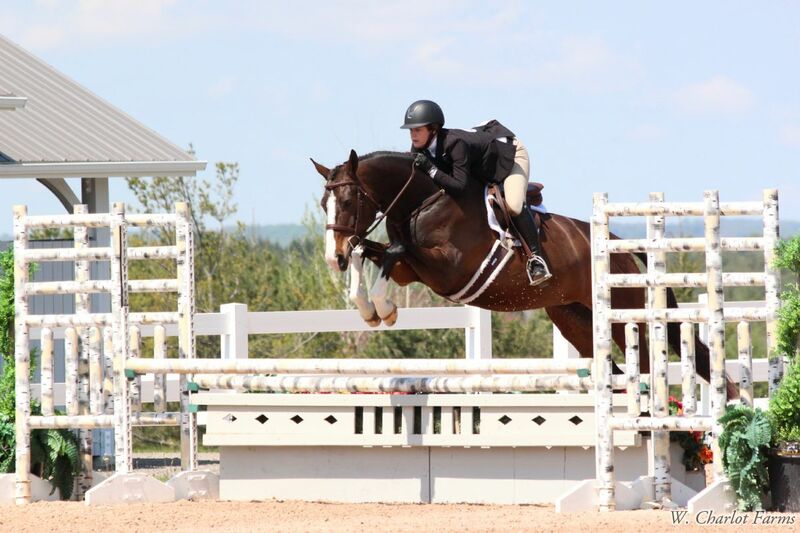 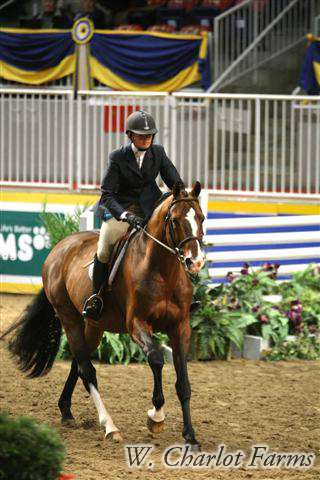 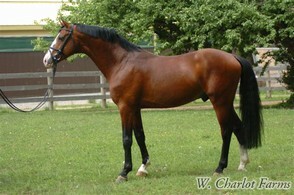 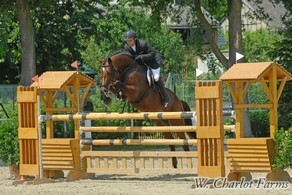 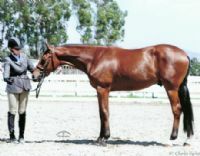 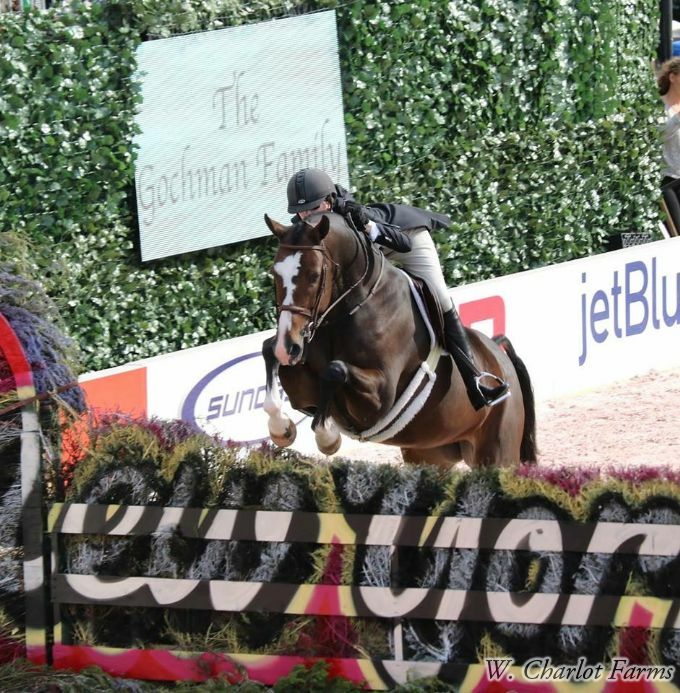 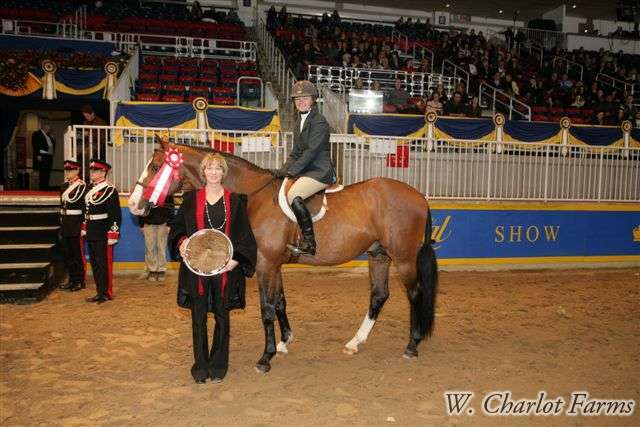 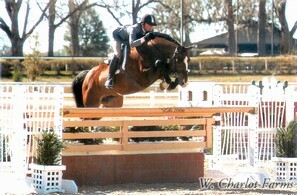 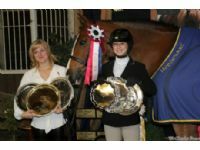 He has won many hack classes, including the under saddle classes at the Royal Winter Fair in 2007 and 2008. 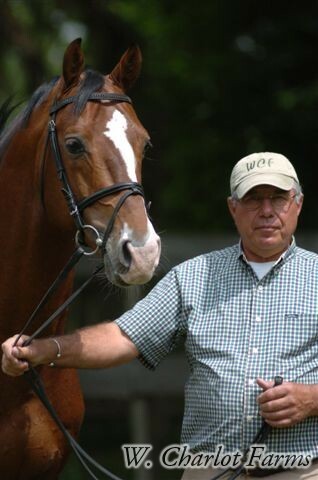 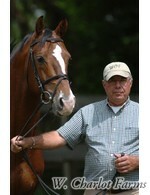 He has produced several Premium and Champion Foals during his first two years of breeding in North America. 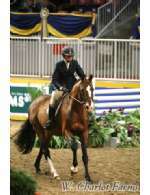 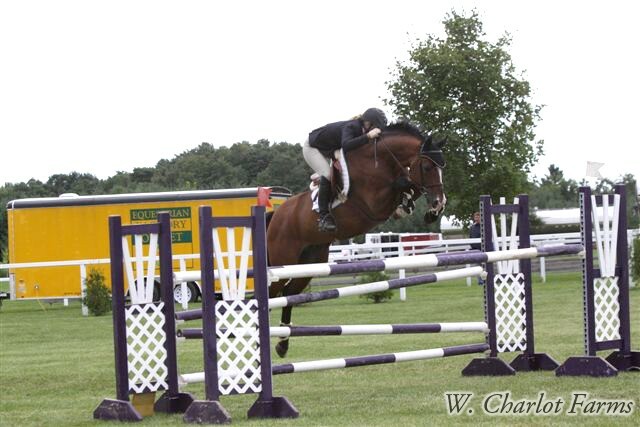 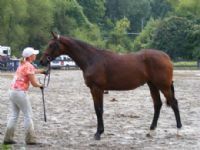 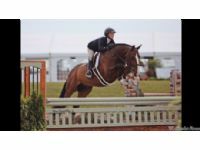 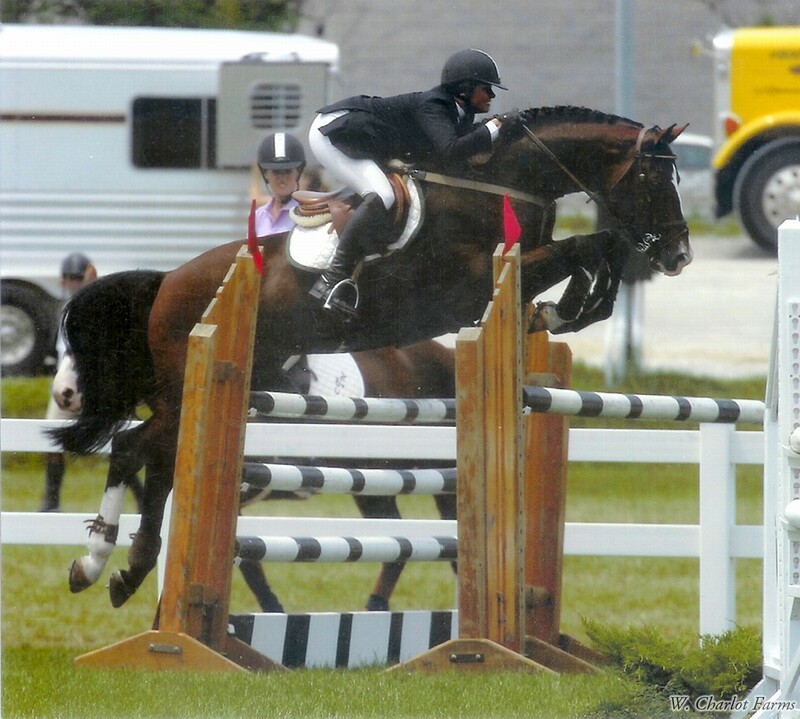 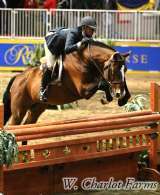 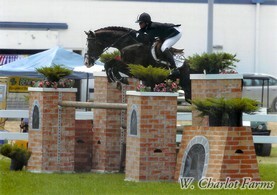 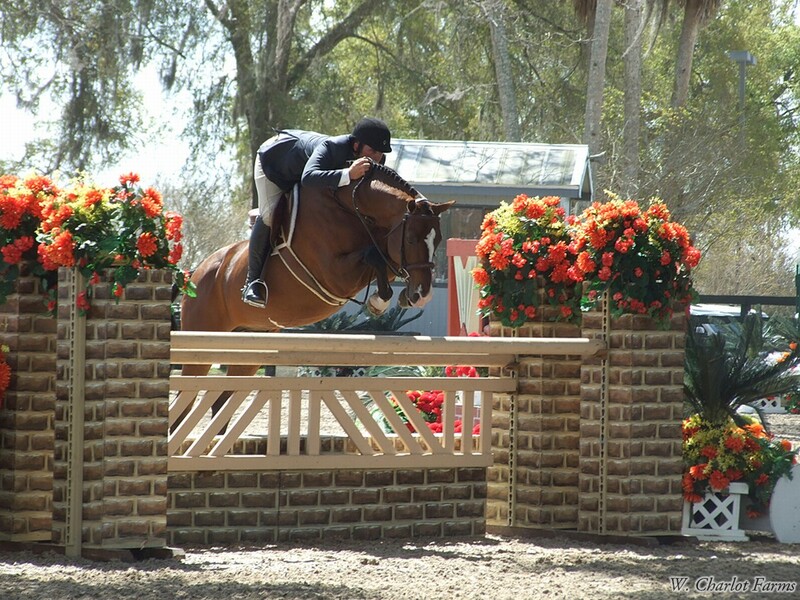 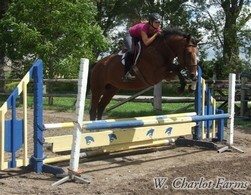 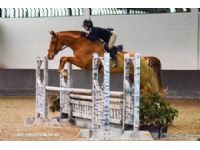 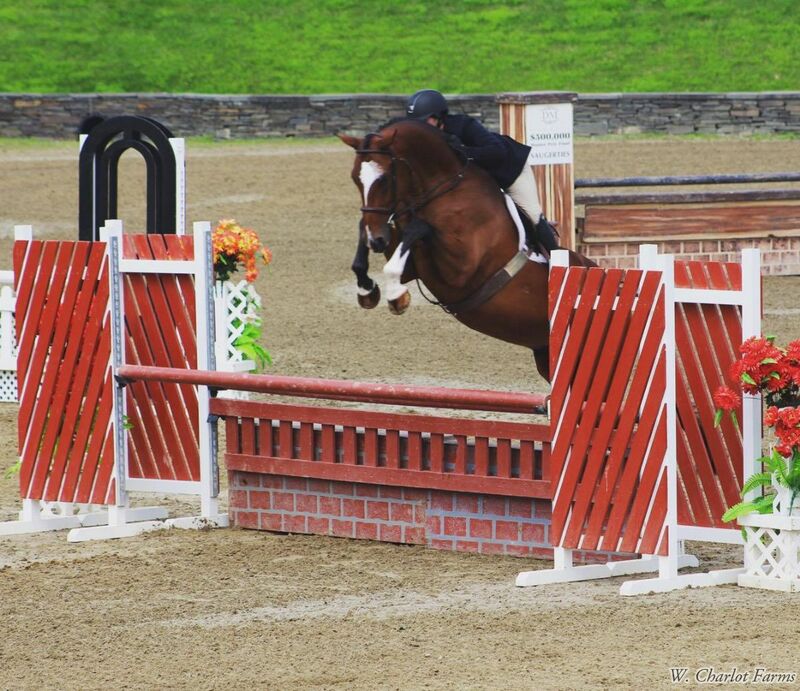 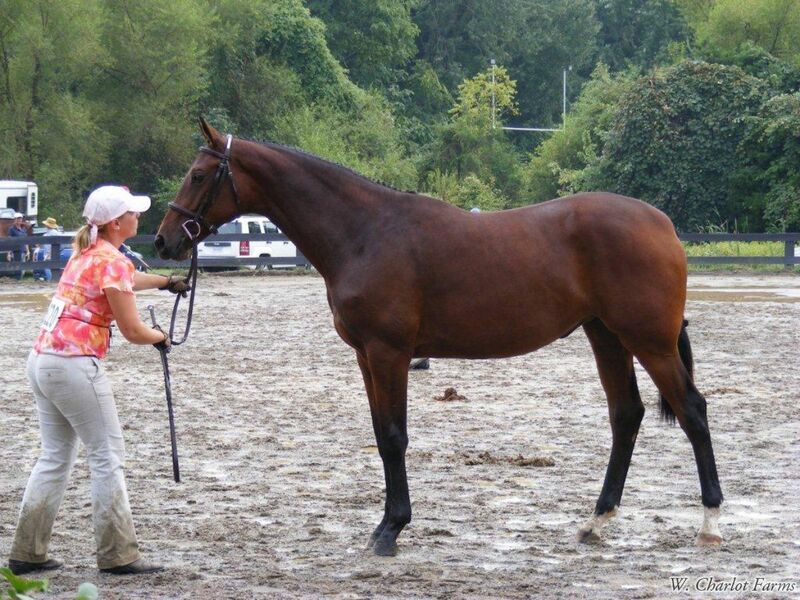 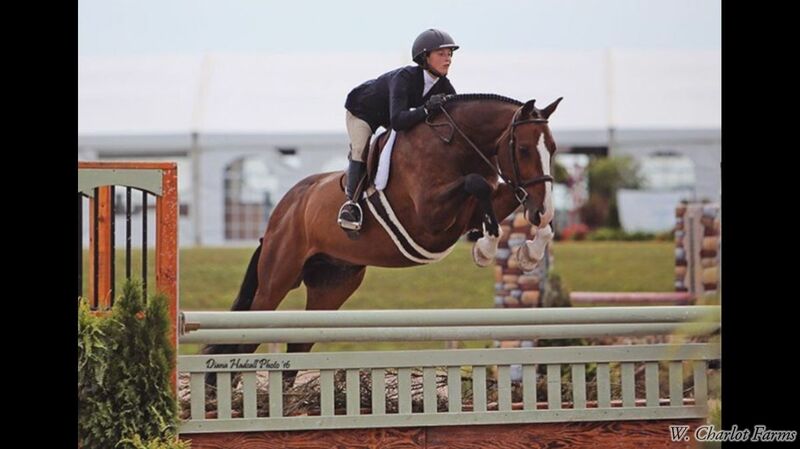 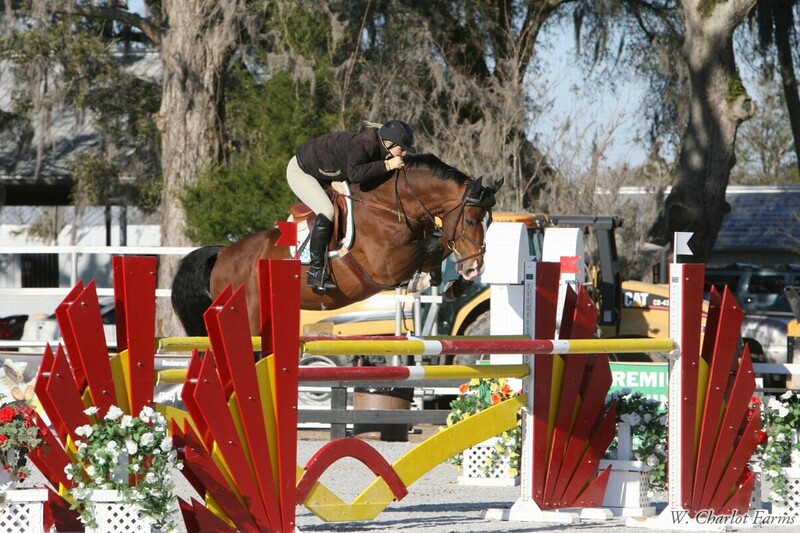 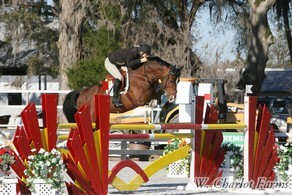 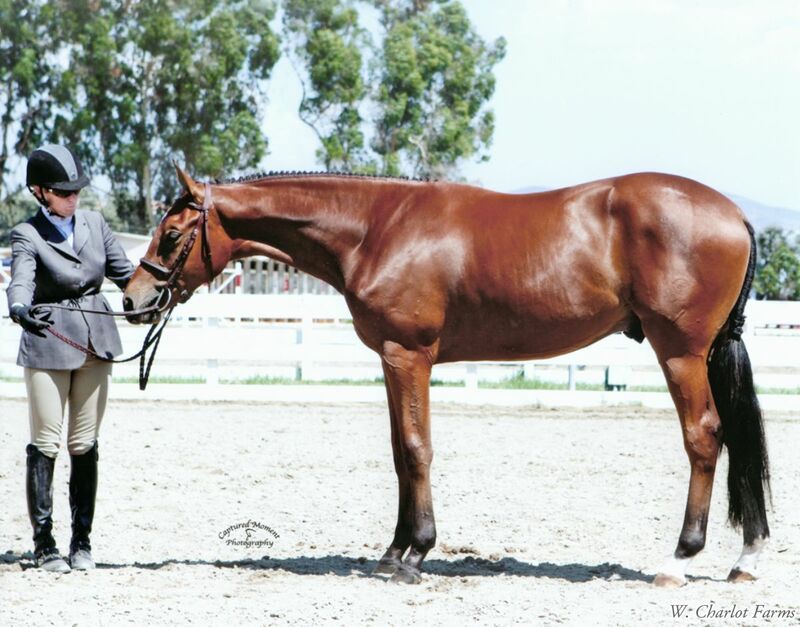 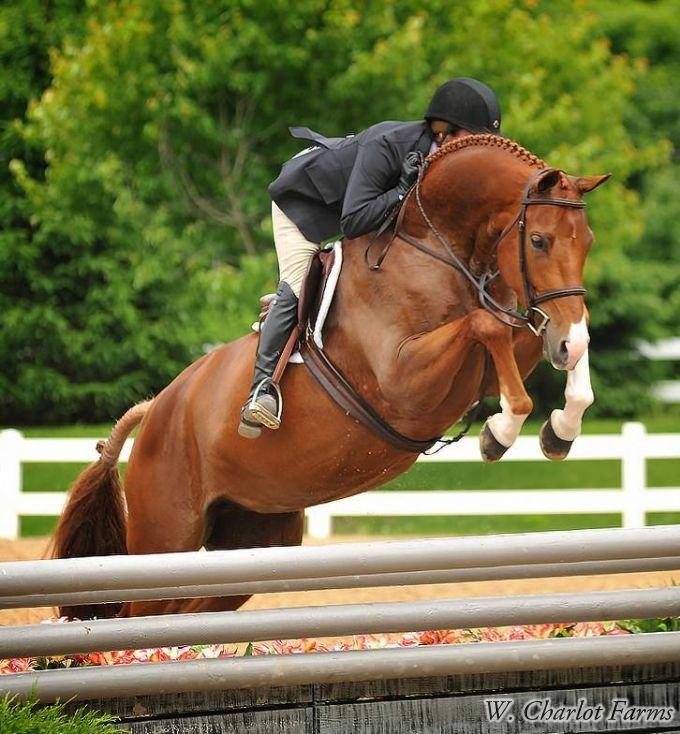 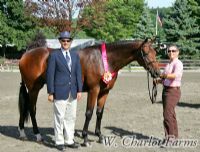 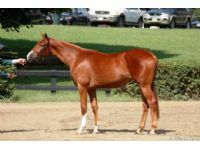 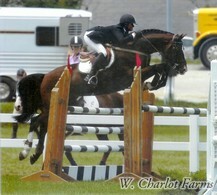 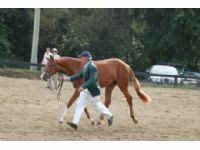 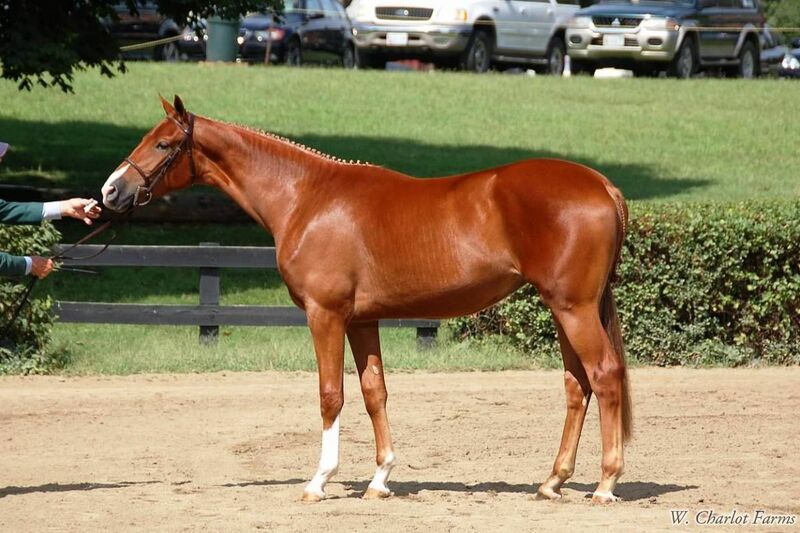 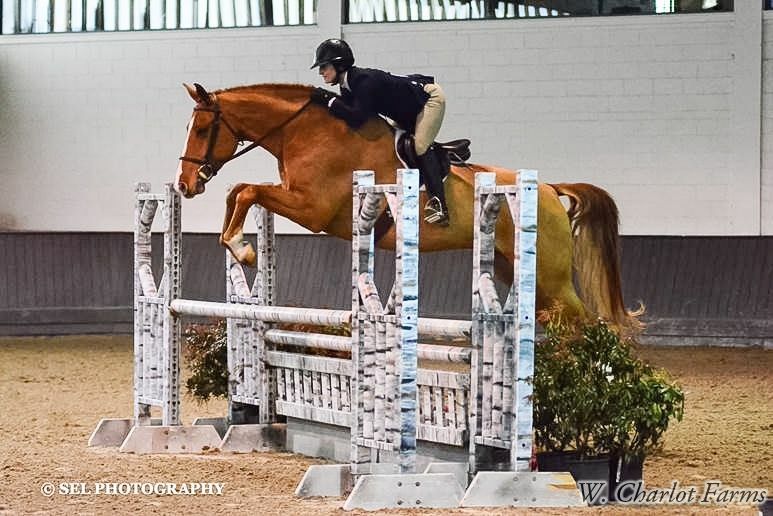 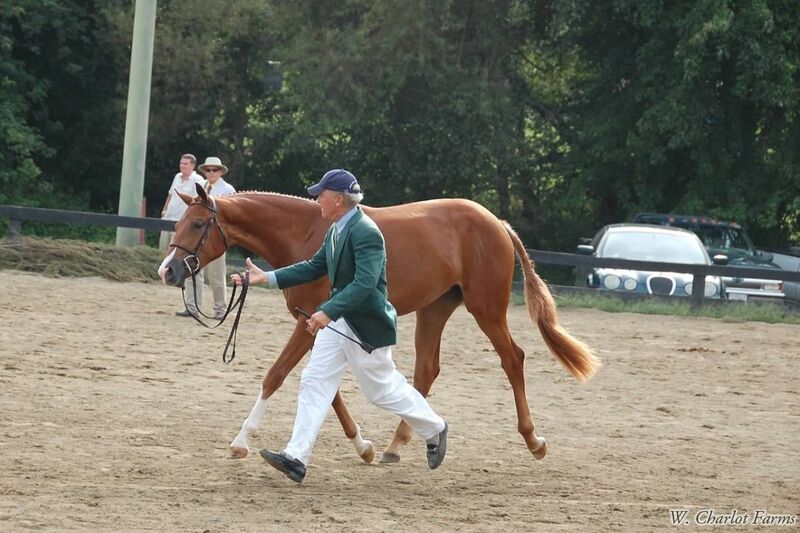 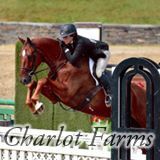 His offspring have won Hunter Breeding Championships at Devon, Warrenton and Upperville. 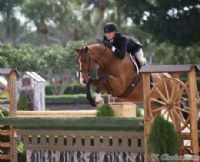 His oldest crop of foals born in North America are circuit champions, baby green, at WEF and HITS Ocala in 2015 and have top won top ribbons in hunter derbys! 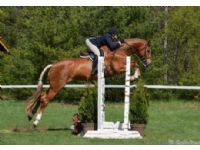 Socialite, best Canadian Bred Horse (Hunter) at the Royal Winter Farin in both 2015 and 2016 ! 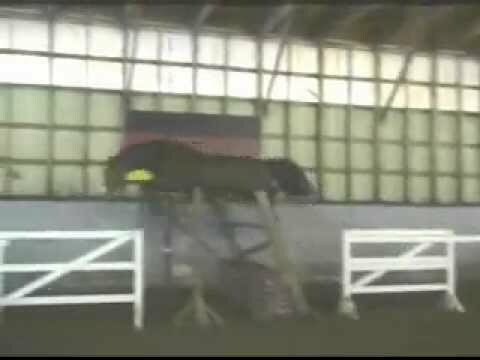 Cabardino produces tall, athletic foals with incredible technique over jumps & excellent movement. 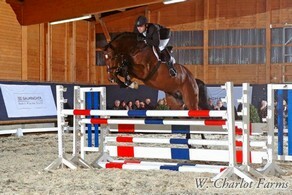 Qualified for Bundeschampionat with score of 9,0 !